Last week we explored Indian Corn. This material has proven to be great for exploring different types of sensory play. The textures and colors have been just one way we've been able to get into our explorations. First we painted with the corn cobs, which gave us colorful, textured prints. 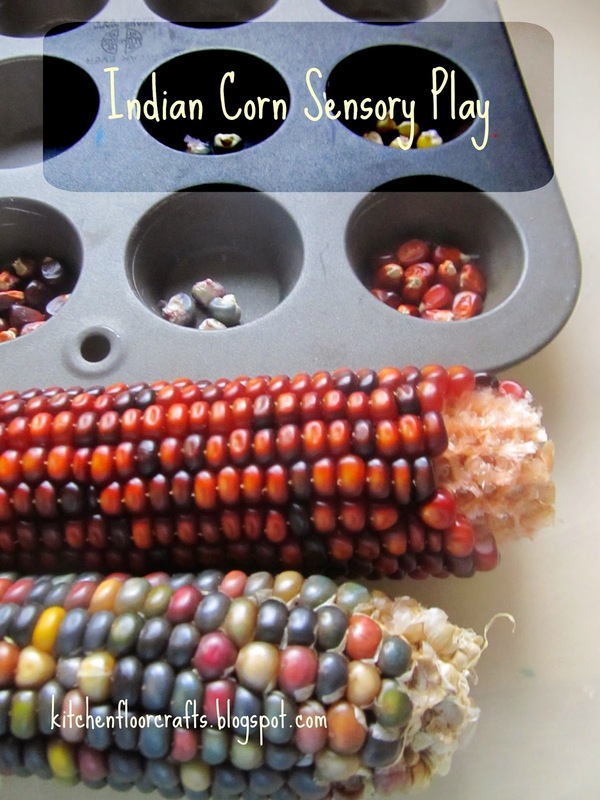 Later, after the cobs had dried, we created a different type of exploration: Indian Corn Sensory Play. 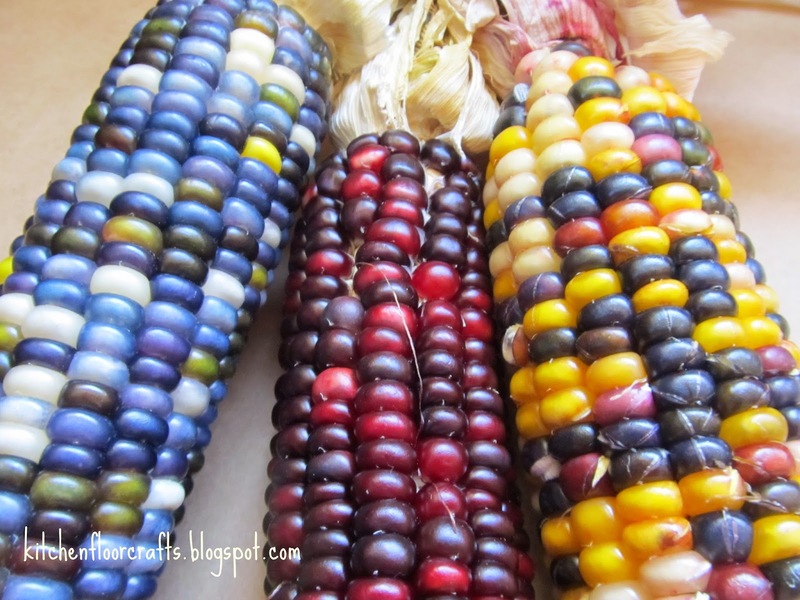 In getting ready for this play experience, I started reading a little about indian corn, also called flint corn. There is a great article over at the History Channel which gives a little more information about the story behind the corn. 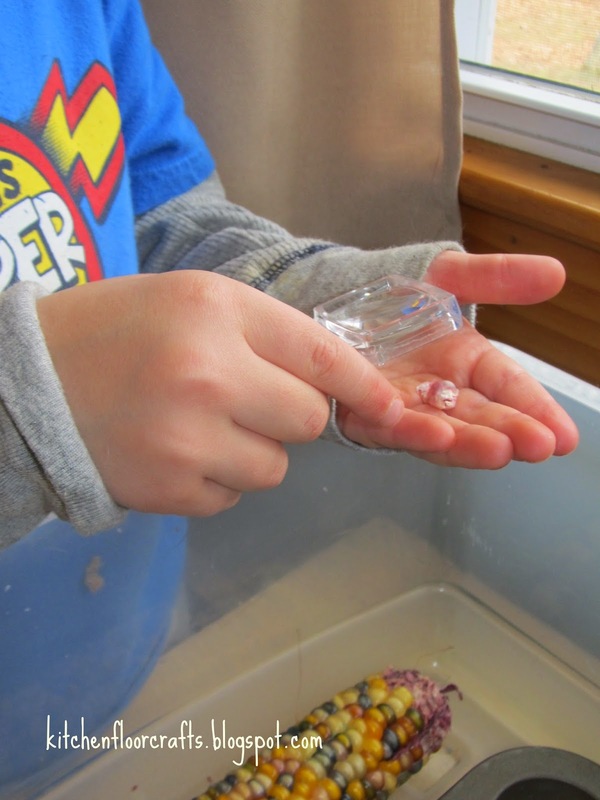 To set up for our play experience we put the ears of corn into a our large, plastic tub. 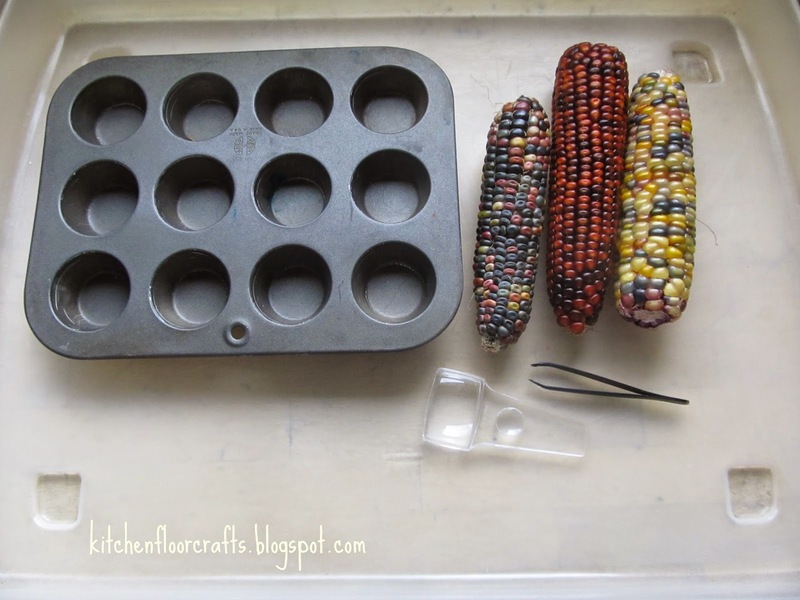 With it the ears we added a miniature muffin tin, large tweezers, and a magnifying glass. Big Brother began his exploration right away by eagerly trying to tweeze the kernels off of the cobs. We found it was a little easier to pry some kernels off with our fingers at first before we could be successful with the tweezers. Once we made a little progress he could use the tweezers more easily. Even though it was not easier, the tweezers definitely gave him a chance to work on developing those fine motor muscles in his hands. 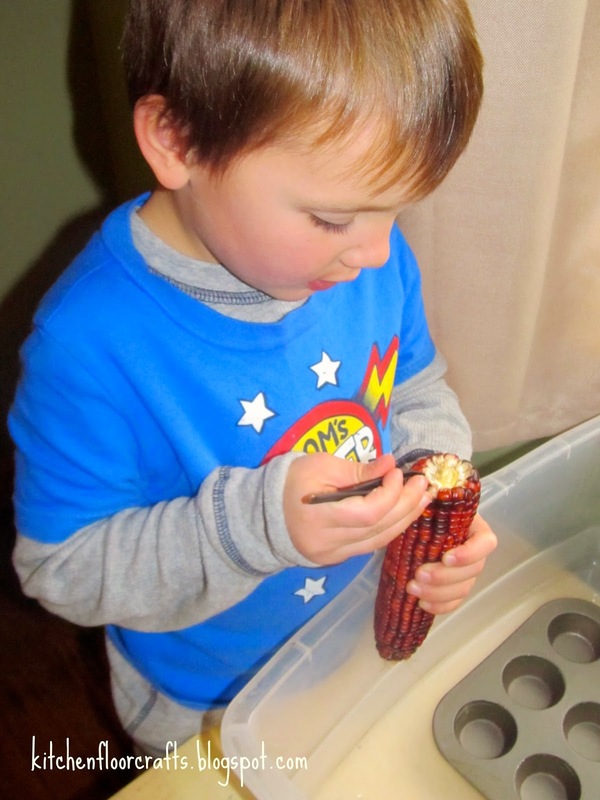 After pulling off the kernels he inspected them with a magnifying glass to see what the kernels looked like up close. 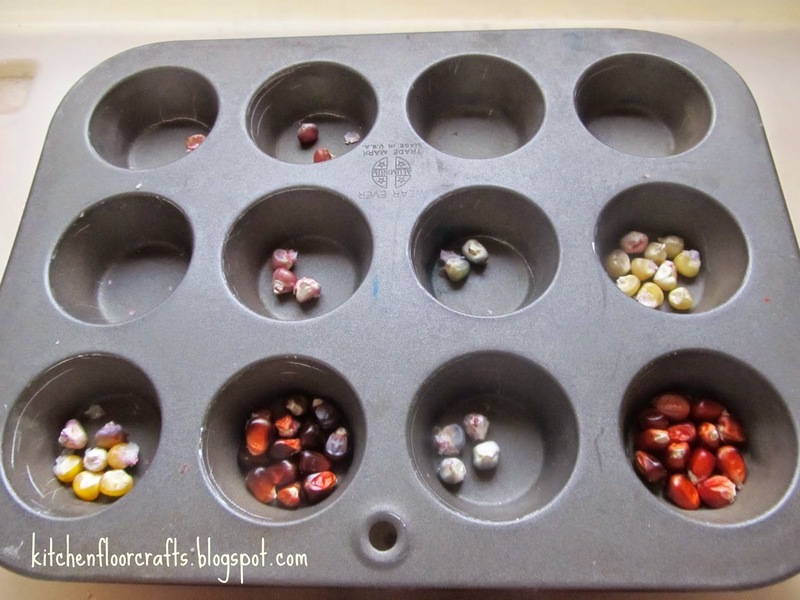 Following inspecting several kernels Big Brother worked on sorting them into the different muffin tins. This gave us a great opportunity to not only talk about the different colors, but the different shades of the colors. He started to name some of the colors as he sorted them. 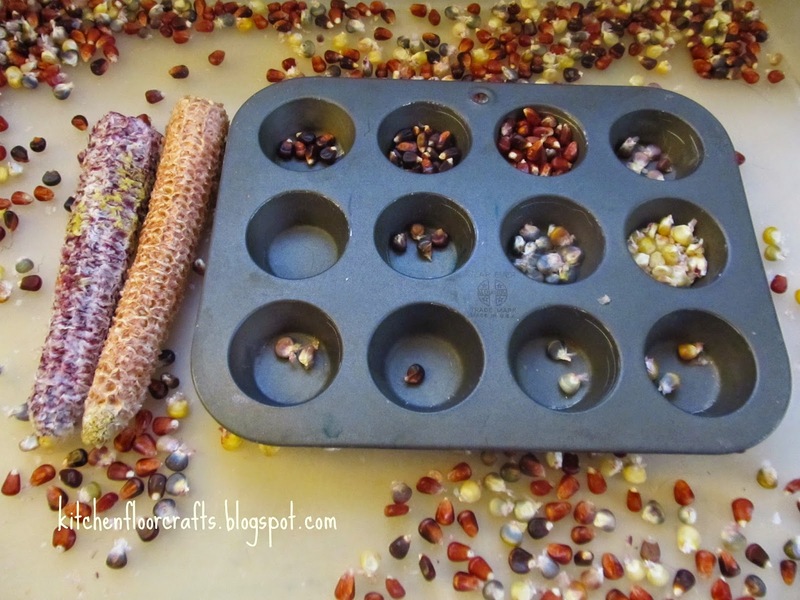 We continued to sort them until there were almost no kernels left on the cobs. 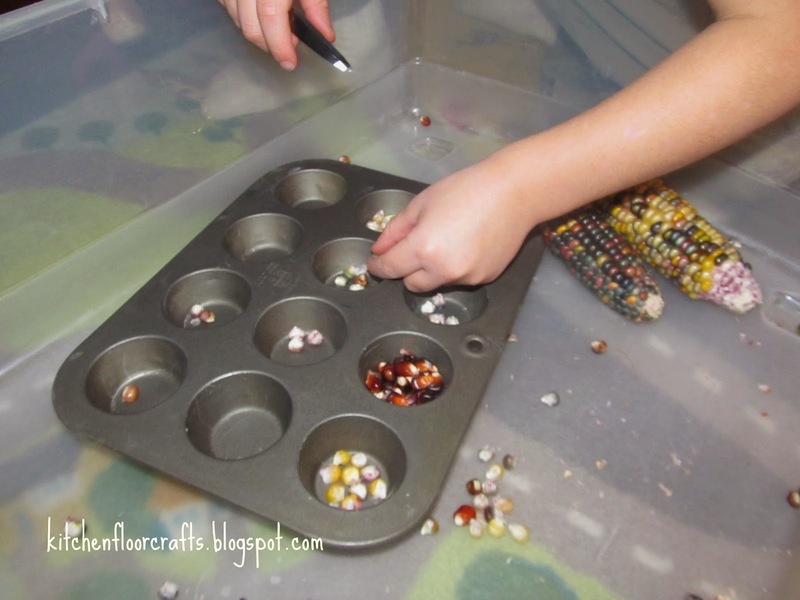 After that the cobs and the loose corn became like other sensory bins we've used in the past. Both boys played with it for several days.